Being a Fleet Manager or Logistics Manager or School Admin, you certainly don’t Want your vehicle to visit any unwanted area? Because it is related with the safety of your employees, goods and students. Apart from that sometimes drivers misuse vehicle and drive it for unnessery reasons. 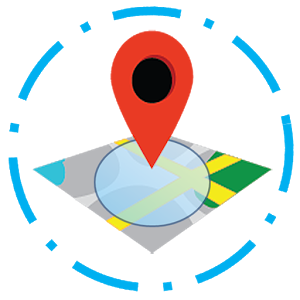 Geo fencing feature of GPS tracking device assist in avoiding such scenerios and help fleet admin in setting a specific geographical location for vehicle movement. Dogma Guardian is one of the best GPS for Geo-Fencing and Auto-Fencing and all its devices (MyGuardian11 and MyGuardian 11 + OBD) have this feature. With the Geo-Fencing and Auto-fencing feature of MyGuardian 11 and MyGuardian 11 + OBD, define the area of travel and know when your vehicle is out of it. An Email or SMS alert will let you know the status. The Geo-Fencing and Auto-fencing feature of our device allows you to set the geographical area within which the vehicle is allowed to move freely. If the vehicle is ever located outside that area, you will receive an alert SMS or e-mail. Further, you can take the appropriate action. Scenario: If you are the Administrator of a school, you will always think or providing best and safest commuting service to the students of your school. What if the driver of your school bus takes the kids and bus to some unknown place? How will you trace them and get the kids back to school? 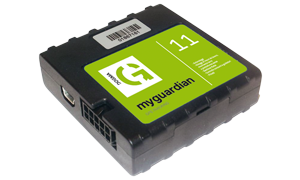 The solution is our MyGuardian 11 and MyGuardian 11 + OBD GPS Tracking solution. With the Geo-fencing and Auto-fencing feature of our solution define the path and area of the bus to move and know when it goes out of it. An SMS Alert will be received to you everytime your vehicle goes out of the prescribed area.